My son takes his driver’s license test in a few days. As we were tightening up his parallel parking abilities for the perfect 1, 2 3 in… I thought about how some of the skill in parking is getting a feel for it! Its not a give me what to do and I will do it sort of skill. There is monitoring as you are moving and feeling where you are in the car compared to where you want to be. I had to take what I do intuitively, take that process that goes on in my head automatically, and break it down to help my son “borrow my perspective” …meaning take that information in, make it his own and make sense on how that is going to help him in his own thinking. This, after all, is how we guide our kids in as we help them navigate through life. 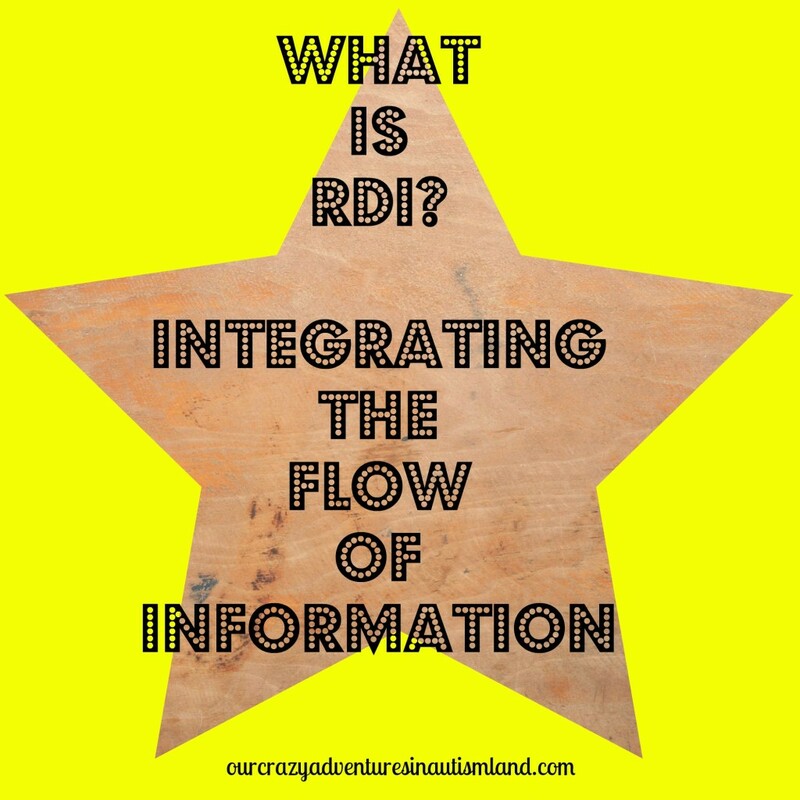 When someone asks me to explain what RDI is, it helps to first cover where the breakdown occurs in autism and just how profound this breakdown really is. The reason for this is because there are different mindsets on a child’s behavior. The mindset going in is going to determine in many ways what we see. In autism, this process is disrupted because children with autism struggle with taking information from their parent and processing that information to help them know what to do next and how to relate. The brain is the social organ of the body. In relationships, we perceive the mind of another person and blend that with our thoughts. Think of a baby who is cooing at their parent, their parent is smiling…they are smiling back..this process is well under way in a small baby. Think of a baby learning to walk, they fall and look at their parent, and if their parent is smiling, cheering them on “you can do it” changes are they borrow that perspective, and get back up and try again. However, and studies have shown in regards to borrowing perspective, if the parent becomes anxious “ oh no are you okay?” with a frightened look, the baby will begin to cry as they have borrowed their parents perspective. This feedback loop is disrupted because of autism, so the child on the spectrum is overwhelmed by processing which is the important piece of information to pay attention too. For this reason they cling to objects, which are generally unchanging. Children with autism, have strengths in static mental processes. They are strong in predictability and rules, memorization, facts and things that are directly taught. This is generally how they continue to be taught through social stories defining rules or setting schedules for them. However, they struggle with dynamic mental processes. This includes grey area thinking, fuzzy logic, answers that are not clear cut. To help integrate learning, we want to foster dynamic mental processing, known as dynamic intelligence. Processes in dynamic intelligence include engagement, mutual understanding, perspective taking, social referencing, and the motivation to engage with uncertain situations. From the most current research, it’s becoming clear to address foundational milestones in dynamic intelligence rather than try and just teach kids compliance- how to behave ( static) without intrinsic motivation. We want to help them to see the Why…the importance of using the entire subjective experience of whatever activity they are involved in with another person. We can no longer skip the stage of helping them to borrow perspective because it is harder to measure. With each new successful interaction where there is just enough challenge for them to be competent, helps to promote flexibility in novelty. They begin to trust that small challenges help them to feel good, that there is a connection with that person involved in the challenge with them, and that there is not a reason to run from uncertainty ( which is why many times children with Autism are inflexible with change or considered “controlling”) Their behaviors improve as a result of their own competence. Thinking back to that baby learning to walk, there was that process unfolding. There was a small challenge, just enough for competence. Thinking about some of the current therapies for Autism, to me this is where RDI stands alone. RDI- Relationship Development Intervention ™, is a method of guiding a child to help them feel competent by setting up careful, developmentally appropriate objectives which gives both the parents and child permission to focus on success of the experience ( rather than a task). will stay on topic in a conversation for 15 minutes 80 percent of the time. In RDI, our goals are more of the why in both these examples. A child, monitoring their surroundings excited to see a person will run towards them to say hello without prompting. Our kids with autism, because they struggle with monitoring, miss out on important information to know what to do next. For conversation skills, again, we have to know how to take in what someone is saying, apply it to our thoughts, and stay with the person, expanding on their thoughts. This is why staying on topic is so difficult for a child on the spectrum. Skipping this step puts a child in a situation where they are not making their own decision on what they should be doing next, they are taking a prompt in essence to be able to go back to what they were doing. This is why prompt dependency is such an issue. The “why” of how we make meaning on how to relate to other people must be foundational. When this is done, many target goals that therapies try and teach, would actually occur naturally based from the childs own discovery process. It is an exciting process to watch . RDI seeks to integrate both static and dynamic thinking compared to therapies whose focus is more on the static process ( discreet skills). Once our kids can identify how others think and feel, perceive themselves as decision makers, prioritize multiple demands and can solve problems on their own, they are well on their way to being equipped not only in the classroom but a quality of life that includes living independently, meaningful relationships, and achieving their goals. Dynamic thinking equips our children for their success.